You are at:Home»Thematic Investing Channel»Is it Time For Silver For Rally? While gold exchange traded funds (ETFs) have traded modestly higher this year, silver funds are getting left behind. The iShares Silver Trust (NYSEArca: SLV), the largest silver ETF trading in the U.S., is down 3.44%, prompting some commodities market observers to ponder the white metal’s near-term fortunes. Silver’s slack start to 2019 is betraying what were optimistic forecasts for the metal heading into the year after a rough 2018. A more accomodative Federal Reserve would bolster the case for silver. Looking ahead, silver and other precious metals may continue to face an uphill struggle as the Federal Reserve is expected to keep hiking interest rates, which makes non-yielding assets like commodities less attractive. “Silver futures settled at $14.867 an ounce on Thursday, down more than 4% in 2019, after last year’s more than 9% loss. In contrast, gold futures, at $1,293.30 an ounce that day, were up 1% this year, on track to recoup half of their loss of just over 2% in 2018,” reports Myra Saefong for Barron’s. Bolstering the case for silver and SLV are expectations that demand for the metal will outpace supply this year. “Total physical demand for silver rose 4% last year, to a three-year high of 1.03 billion ounces, according to the Silver Institute’s World Silver Survey, compiled by a team at financial data and analytics provider Refinitiv,” reports Barron’s. Here is the good news: While SLV often struggles in the month of April, it is often one of the best-performing commodities ETFs for the duration of the second quarter. Over the past 10 years, SLV has generated positive second-quarter returns 90% of the time. 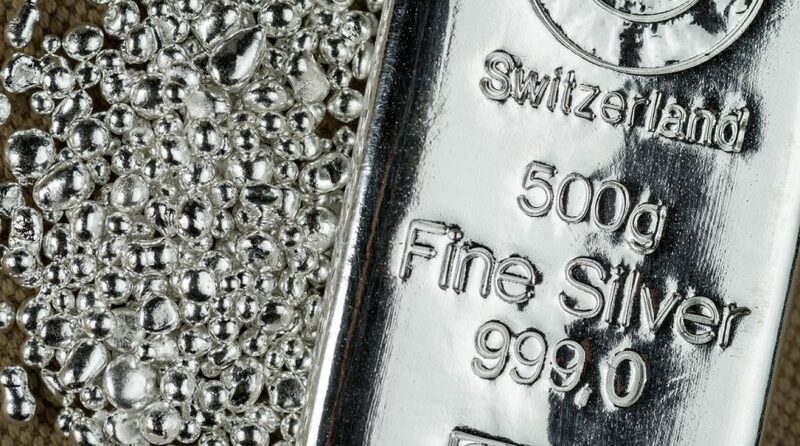 Investors can tap silver equities with the Global X Silvers Miners ETF (NYSEArca: SIL) and related ETFs. SIL, the largest silver miner-related ETF, tries to mirror the Solactive Global Silver Miners Total Return Index, which is also comprised of global silver miners. For more information on the silver market, visit our silver category.